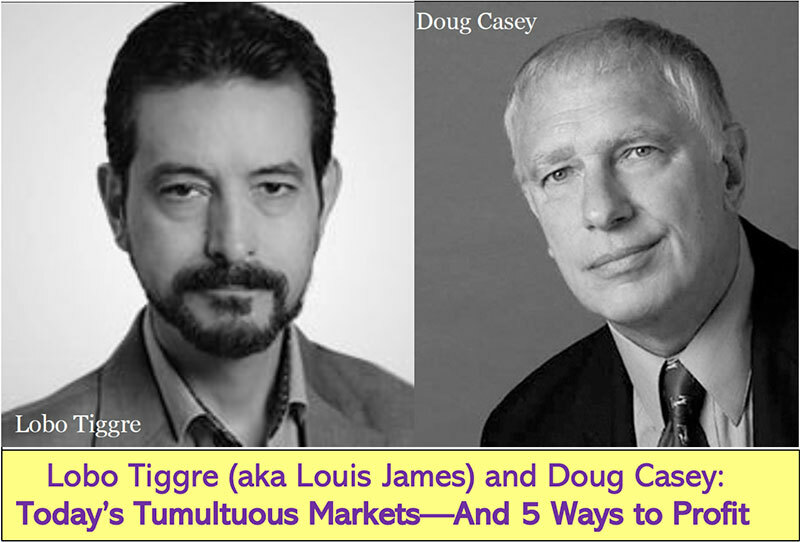 For years, Doug Casey and Lobo Tiggre (a.k.a. Louis James) published a series of weekly conversations on just about every topic imaginable. These usually concluded with the investment implications of whatever was discussed. 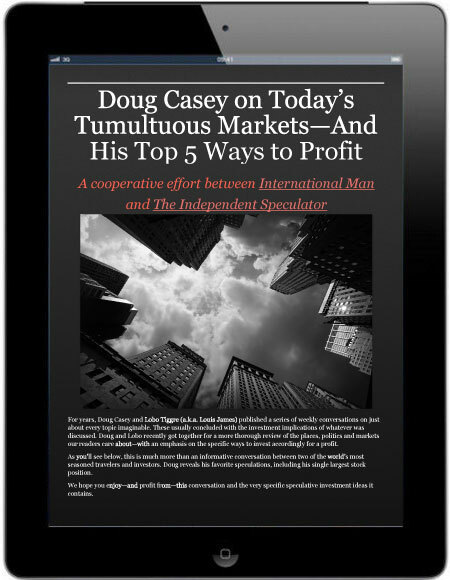 Doug and Lobo recently got together for a more thorough review of the places, politics and markets our readers care about—with an emphasis on the specific ways to invest accordingly for a profit. As you’ll see below, this is much more than an informative conversation between two of the world’s most seasoned travelers and investors. 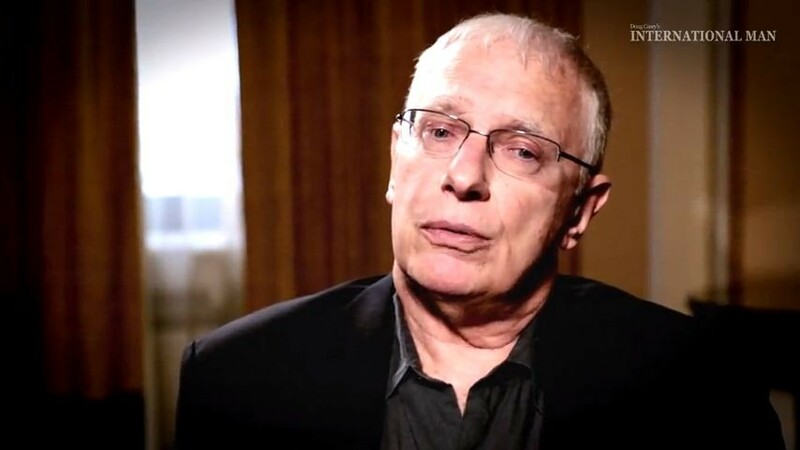 Doug reveals his favorite speculations, including his single largest stock position. We hope you enjoy—and profit from—this conversation and the very specific speculative investment ideas it contains.